ANNVILLE, Pa. - This morning, the Middle Atlantic Conference (MAC) announced its 2017 football preseason coaches' poll. Lebanon Valley was projected to finish seventh in the conference rankings. The Flying Dutchmen are coming off a 2016 campaign that saw them finish 4-5 in league play and 4-6 overall. LVC ended the year on a three-game win streak, including a thrilling 28-25 victory over longtime Albright in the season finale. 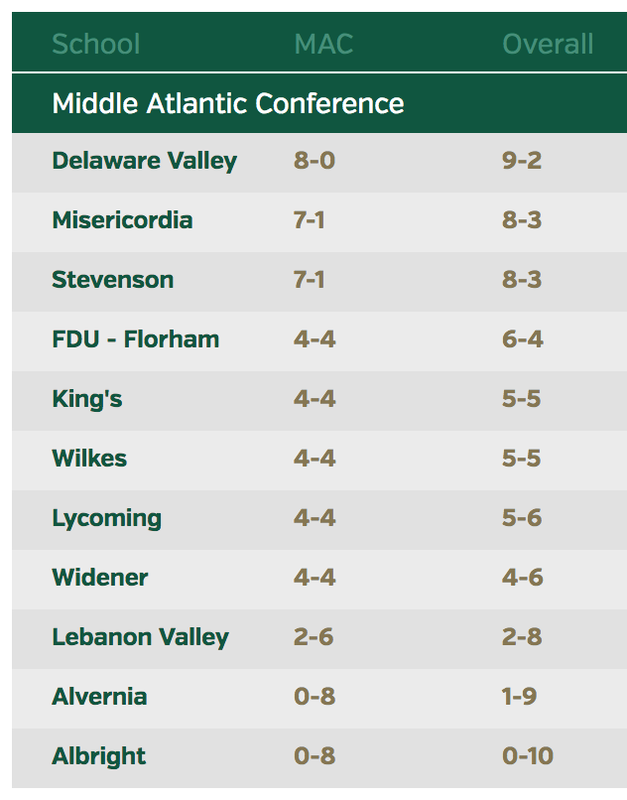 Delaware Valley edged out the defending MAC champs from Stevenson to earn the poll's top spot with 75 points and five first-place votes. The Mustangs received three first-place votes and totaled 72 points. Albright tied with SU for the runner-up position with 72 points and a pair of first-place votes, while Widener and King's rounded out the top five with 55 and 47 points, respectively. LVC opens the 2017 season by hosting Franklin & Marshall at Arnold Field on Saturday afternoon, Sept. 2.